St. Valentine’s Day is the quintessential holiday of romantic love, but little is known about the day’s namesake. 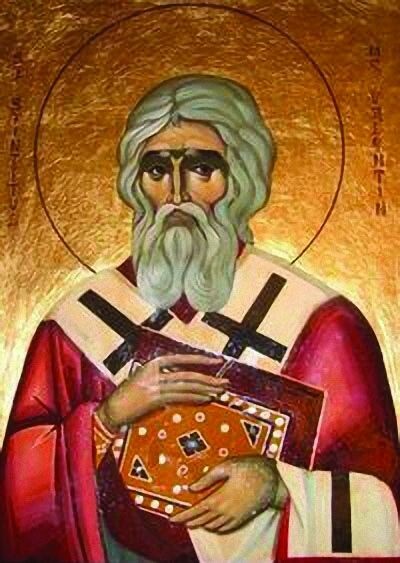 The legend of Saint Valentine is shrouded in mystery, a product of conflicting accounts and gripping early Christian narratives. However, once the pieces of the puzzle are put back together, a rough portrait emerges of a man who suffered persecution for his faith under Roman rule, and who eventually became the unofficial patron saint of lovers. One of the most famous accounts of Valentine describes a Roman priest martyred around 270, during the reign of Claudius II, before Christianity was legal in Rome. According to the Nuremberg Chronicle (1493), he was arrested and imprisoned after being caught performing wedding ceremonies for Christian couples and otherwise aiding Christians being persecuted by Claudius–a grave crime at the time. Claudius actually grew fond of Valentinus as a prisoner, but when the priest tried to convert the emperor to Christianity, he was beaten and beheaded outside the Flaminian Gate in Rome on 14 February. Another Valentine figure is the Bishop of Terni. Allegedly, while under house arrest, the Bishop Valentinus was discussing Jesus with his jailkeeper, Judge Asterius, who said he would do anything Valentinus wanted if he healed his daughter’s blindness. Valentinus healed the daughter and told Asterius to smash all his pagan idols and free all his Christian prisoners. However, Valentinus was later arrested for continuing to perform Christian sacraments. Emperor Claudius befriended Valentinus, but became enraged when the bishop attempted to convert him. When Valentinus refused to renounce Christ, Claudius had him beaten and beheaded outside Flaminian Gate, also on 14 February. The connection between St. Valentine and romantic love is murky. The Feast of St. Valentine was established by Pope Gelasius I in 496, but it was not until the High Middle Ages that Valentine became associated with courtly love and devotion, especially in the circle of poet Geoffrey Chaucer. In the Middle Ages it was believed birds paired couples in mid-February. This is reflected in Chaucer’s poem Parlement of Foules (‘Assembly of Birds’), which was the first work to treat St. Valentine’s Day as a special day for lovers. St. Valentine’s true identity remains foggy, but a common thread runs through the legends: he was a Christian prelate who was violently martyred for his beliefs in Rome on 14 February in the third century. Later, the date of his death became associated with medieval beliefs about the time of year couples begin courting. In light of these legends, what does Valentine’s Day mean to you?